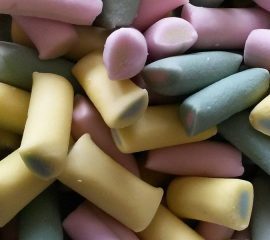 Who can resist spelling their name or making up words with these before they eat them?! Why not challenge your friends to make the most words? Or better still eat them! 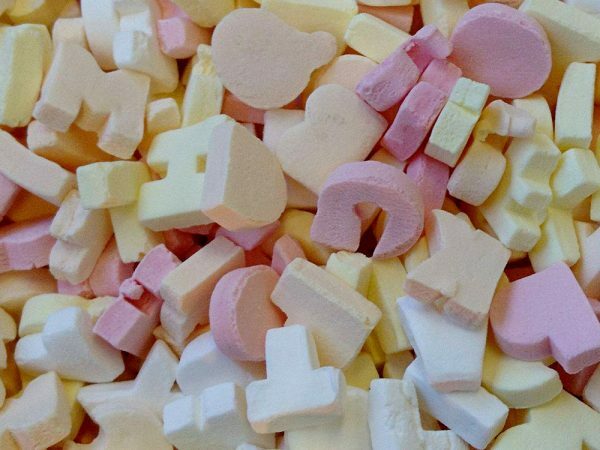 These candy sweets are in a variety of pastel colours and shaped into alphabet letters…just a little fun to go with your sweet! 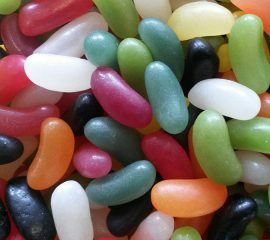 You've tried the traditional boiled sweet so now its time to try the softer version of this classic mix. Its a twist on the traditional but we think it works! 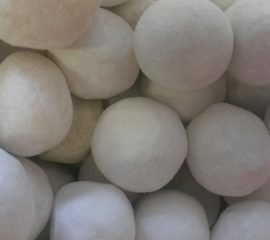 A chewy bon bon, sweet tasting with its toffee flavour - a treat for the taste buds! 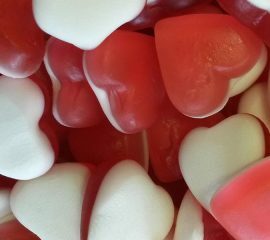 A red fruity flavoured gummy top on a white foamy base in the shape of a heart...would you give someone your heart?